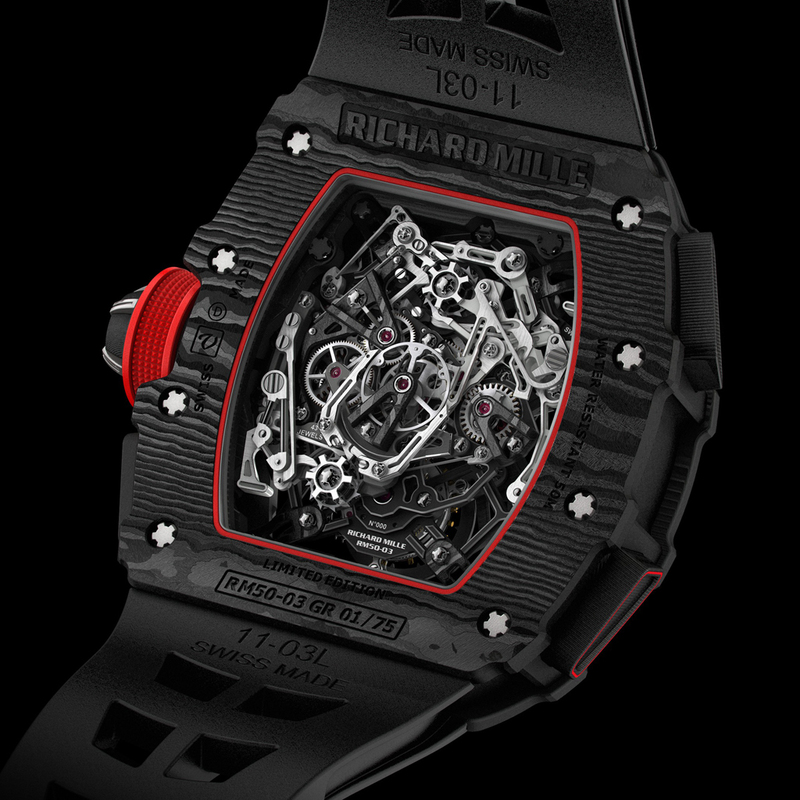 This Richard Mille RM 50-03 McLaren F1 is the world’s lightest tourbillon split-seconds chronograph. 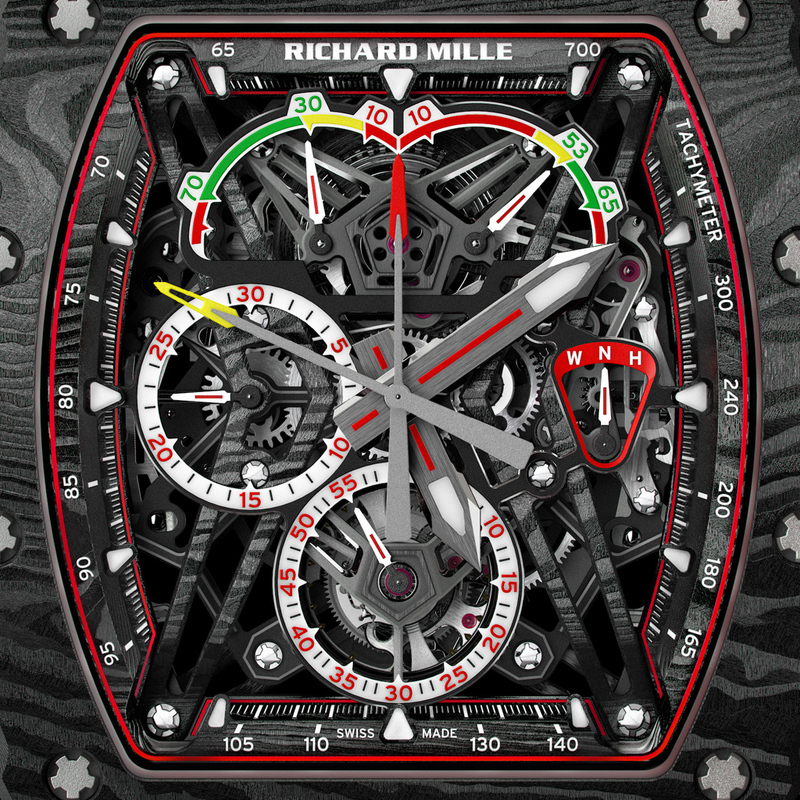 And officially it is called the Richard Mille RM 50-03 Tourbillon Split Seconds Chronograph Ultralight McLaren F1, which takes up about half of this story. 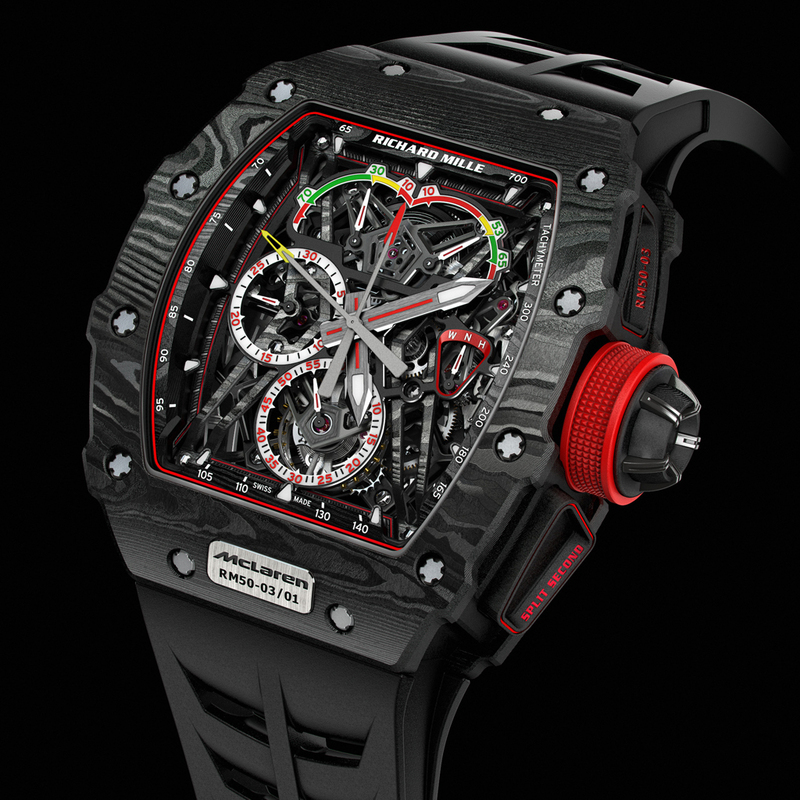 The watch is dedicated to a not very successful Formula One team. So far. McLaren Honda. Their team became 6th in the 2016 season (out of 11) with Fernando Alonso (10th) and Jenson Button (15th) as drivers. But Richard Mille concluded a 10-year contract with McLaren last year (Honda only supplies the engine) so the F1 team might become more successful somewhere in the next few years. If they are faster than Mercedes. Or Red Bull. Or Ferrari. Anyway, the ultralight Richard Mille is here to time their laps. 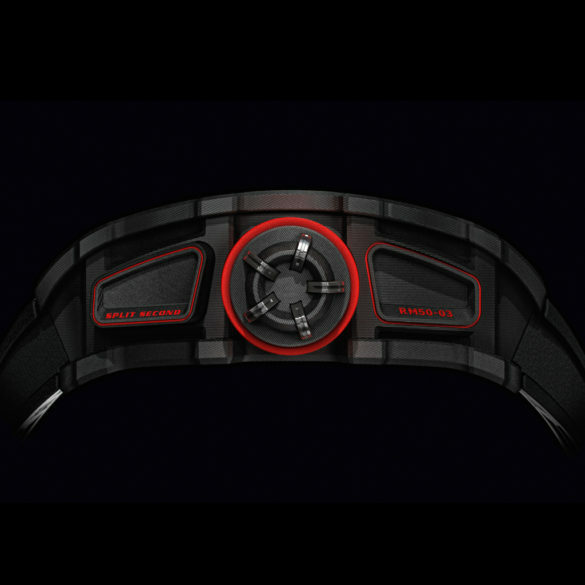 The bezel, which is the main part of the case, and the case back are made from a mixture of carbon and graphene. It is called Graph TPT, which is a sort of carbon which physical properties have been improved by the injection of graphene. And graphene is a revolutionary nanomaterial that is 6 times lighter than steel and 200 times more resistant. 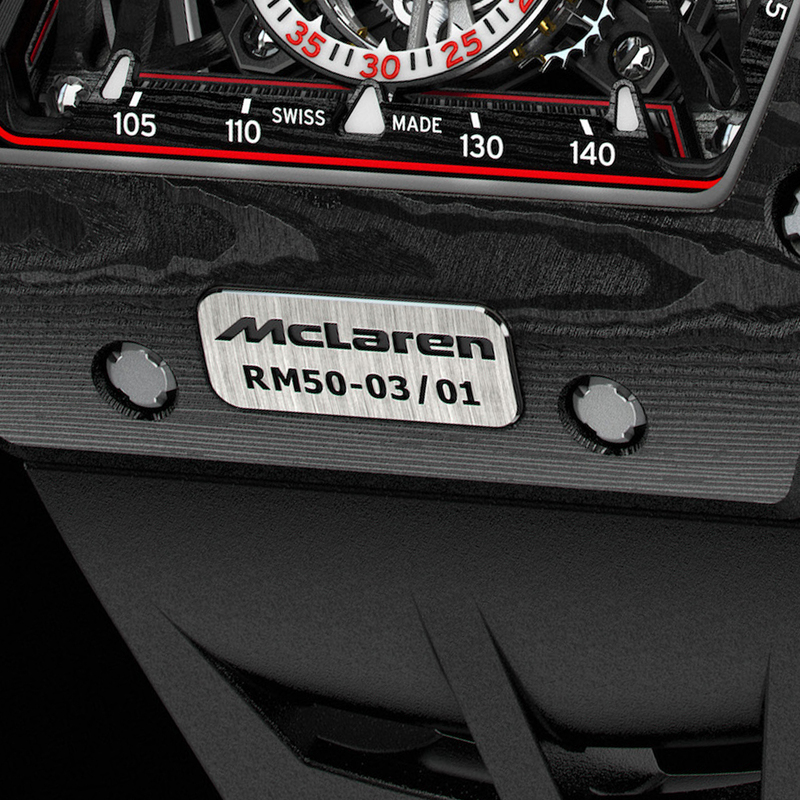 The movement has a base plate and bridges of carbon as well and most of the parts are from grade 5 titanium. This results is a weight of only 7 grams. 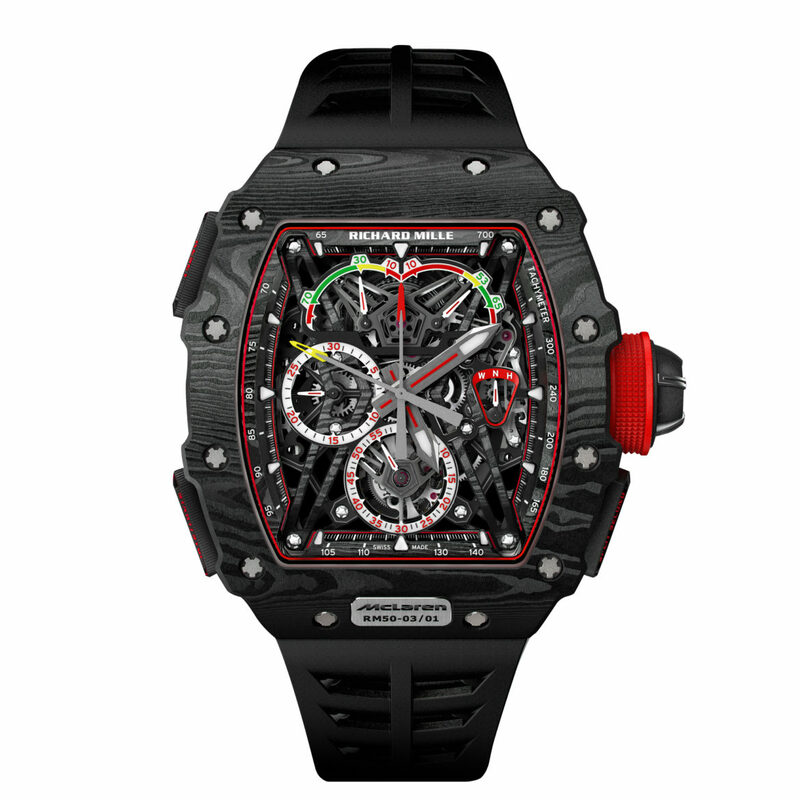 The case, bezel, case back and rubber strap (also injected with graphene) weights 31 grams in total, so the whole time piece is only 38 grams. Which is truly light. The watch features a split-seconds chronograph with 30-minutes totalizer, a power-reserve indicator and a torque indicator. A function indicator, controlled by the crown, is shown at the 3 o’clock position: Winding, Neutral and Hand setting. The crown has a torque limiter to prevent over-winding of the watch. Small seconds and tourbillon are at 6 o ‘clock. Only 75 pieces are made and the price is nearly a million excluding taxes. 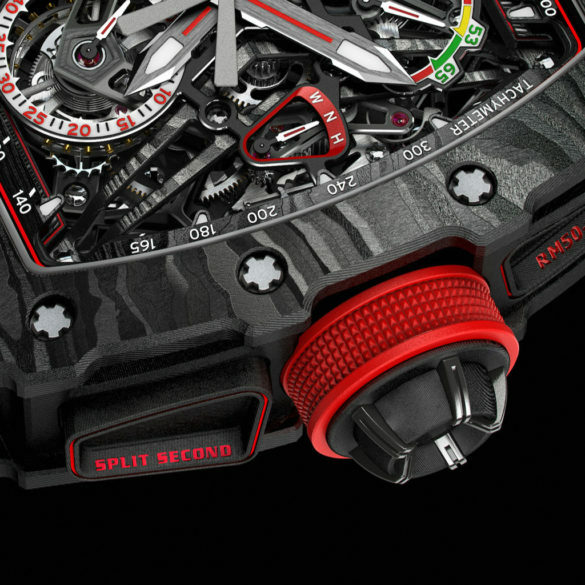 Which makes it not only the lightest but also one of the most expensive tourbillons with split-seconds chronograph.